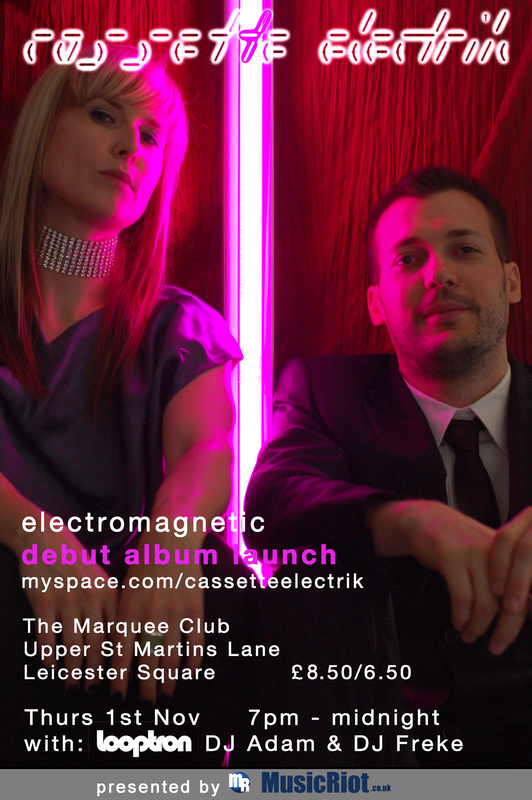 MusicRiot.co.uk is very excited to be presenting the November 1st gig of Cassette Electrik at the legendary Marquee club in Central London. MusicRiot have long been fans of this unsigned band and are really happy to be involved in their upcoming gig that also heralds the launch of their first album “Electromagnetic”. In the coming weeks we will be bringing you news, reviews, an album preview and an exclusive interview with Cassette Electrik – but in the meantime put “Cassette Electrik – Marquee, Central London” into your diary for 1st November!